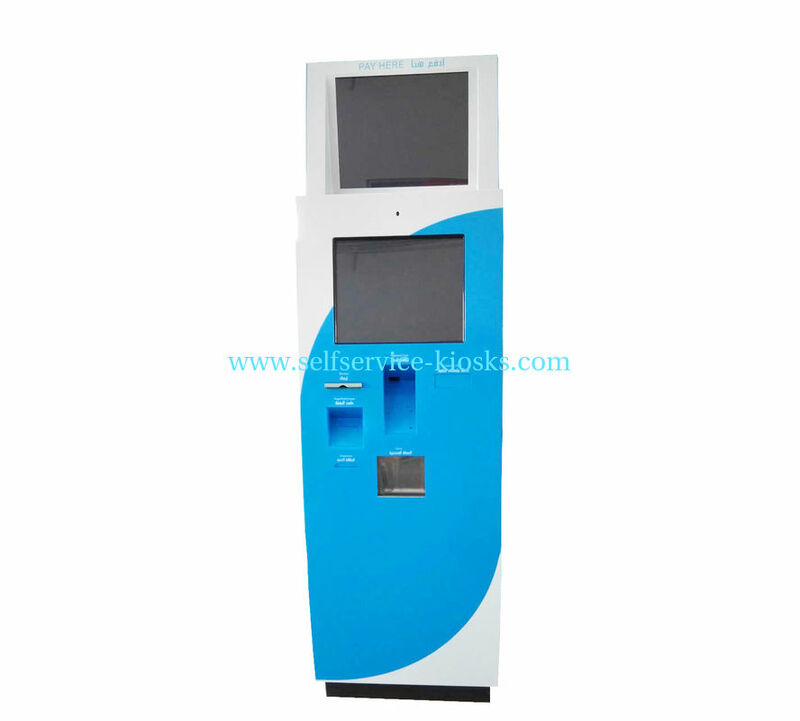 Dual display Bill Payment Kiosk with cash recycler for payment. 1, Stylish& slim design with ITL cash recycler for payment. 2, Multi functions with redit card, fingerprint reader and coin hopper. 3, Second display for advertisement. Payout module: 80 bank notes max. Capacity: normally 450 coins,but the capacity will be different from the coin size.